There are many components to running a restaurant besides making food and serving it to your wonderful guests. We’ve done some research and pulled the best apps to help owners, managers, and all staff work in a more smoothly run restaurant. Between managing inventory, making employee schedules, budgeting, and tracking the data from those aspects, one might need a great system. This is an app that offers templates to track inventory, budgets, and staff schedules. It also creates graphic reports at the tips of your fingers. This app has the ability to be exported into an Excel spread sheet and is cloud based letting the owner bring up the data always up-to-date and on multiple devices. Creating schedules can be one of the most complicated tasks of restaurant management. You have everything set then someone comes up with a shift they can’t make it to. This app allows staff to easily swap shifts and offers direct messaging to each employee. Of course you could always go old school typing in each menu item price, but these apps offer efficient, user-friendly systems to give workers as well as customers the greatest experience possible. Loyalty programs are also on the rise. Many restaurants still offer cards, but apps are more easily accessible and more fun for a customer to use and see how their loyalty to the business is affecting them. An iPad based POS system, Revel is one of the greatest. It offers ease of seating, ordering and serving, PLUS catering to the financials of the business. With bill-splitting features, individual employee logins, and social media integration, this system is everything you could want, and more. This app integrates with your POS system to provide real-time monitoring. It monitors labor costs, sales and payments, key performance indicators and sends alerts when something out of your ordinary day pops up such as a staff member heading into overtime. Loyalty programs are all the rage now that they are easily accessible and most people are on budgets. This app allows customers to scan codes and earn rewards every visit and the restaurant can customize rewards offerings. Belly encourages fun rewards and builds customer profiles to allow restaurants to offer the most useful prizes. Many people are often in a rush during their lunch hour or have had a long day and want to head home quickly after work. OrderAhead is a lifesaver in that situation. This app allows the busy people to find the restaurant, order, pay, and set a pickup time at their own convenience. There is also a re-ordering feature for the regulars. 9 times out of 10, restaurants are on social media. This includes managing multiple social media accounts and Hootsuite helps you do that as easily as possible. This app allows you to manage posting times and cross-publish posts and photos. This app understands that not everyone is Photoshop savvy and provides photo editing and visual branding features at a user-friendly level. It is social media integrated so you can share your brand with the world. Because it’s Monday and everyone needs to take a break and read some cheesy jokes at some point. Did you hear about that new restaurant on the moon? No food, but great atmosphere. How do you know if you’re in love? They steal a pizza your heart. What type of person doesn’t like pizza? A weirDOUGH. Ever notice that when you serve someone a cold cup of coffee, it makes them boiling mad? 3 years ago, S’macks Burgers and Shakes blessed Sarasota, FL by spinning off from the other family business, Gecko’s Grill and Pub, introducing the Better Burger concept and serving up its frozen custard and shakes, and award winning fries. They are great neighbors in their community featuring local vendors and serving hormone free food as well as providing more vegetarian options than just the frozen custard (even though it’s pretty great)! Besides the ease of use for pricing changes and feature items, S’macks has also enjoyed social media integration on their menu for almost a year now. Look for their new location popping up in downtown Sarasota in 2017! 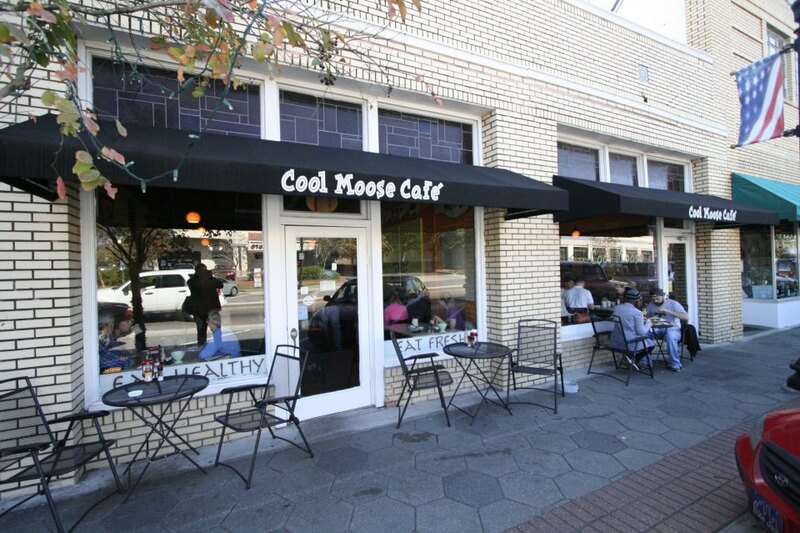 Cool Moose has been proudly serving customers since the summer of 1998. Located in the Riverside area of Jacksonville, FL, they serve breakfast and lunch daily. With the wide variety of coffee flavors and the cozy atmosphere, you might find customers reading and snacking on a pastry while enjoying a mug of their favorite coffee. “Menuat has given us the opportunity to make on the fly changes to our menuboard,” says Laurie Jarvis. They adopted digital menuboards in 2014 not only displaying daily specials in store, but connecting the menu to the Cool Moose website allowing guests and staff members to check out the specials while they’re still at home. Make sure to stop in and grab a cup of coffee if you’re in the Riverside area! Looking for a great restaurant in the historic area of Riverside in Jacksonville, FL? Black Sheep is the place to go! 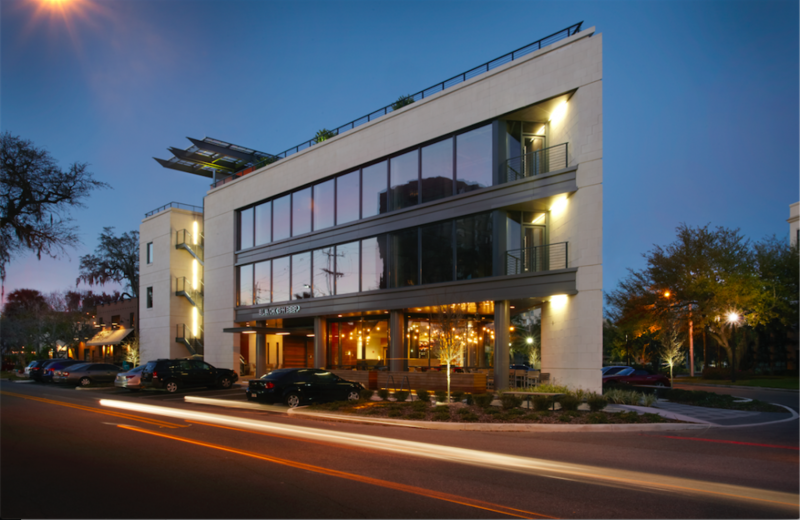 They are fast casual restaurant during the day and serve dinner every night with daily specials. “We love Menuat’s digital menuboards because the specials change every day and it is the most efficient way to update the fresh items!” Having been in business for about 4 years, they pride themselves on using fresh, local ingredients in their handcrafted plates as well as their signature cocktails that you can enjoy at their rooftop bar and lounge. Keep an eye out for their second location that’s under construction! 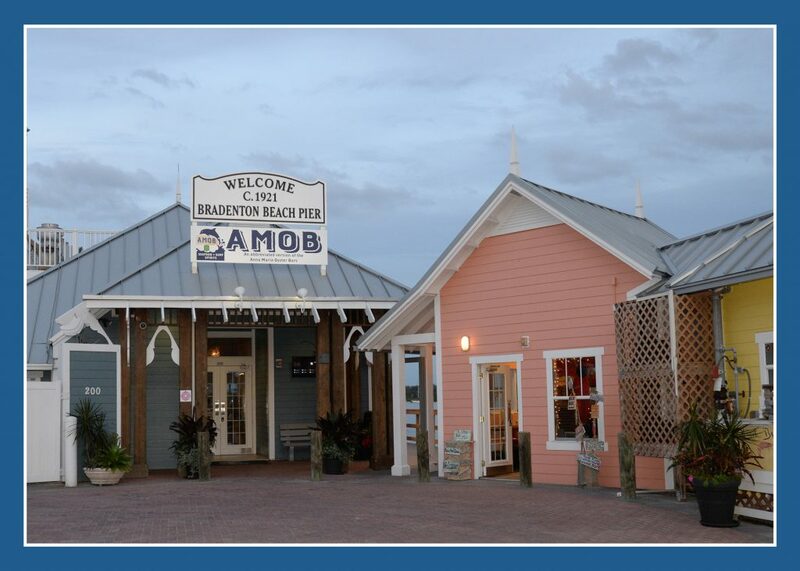 Starting 20 years ago on the Anna Maria City Pier, Anna Maria Oyster Bar has won the hearts of many. Since then the “We’re More Than Just Oysters” restaurant has popped up in 3 other locations in Bradenton and Ellenton, FL. 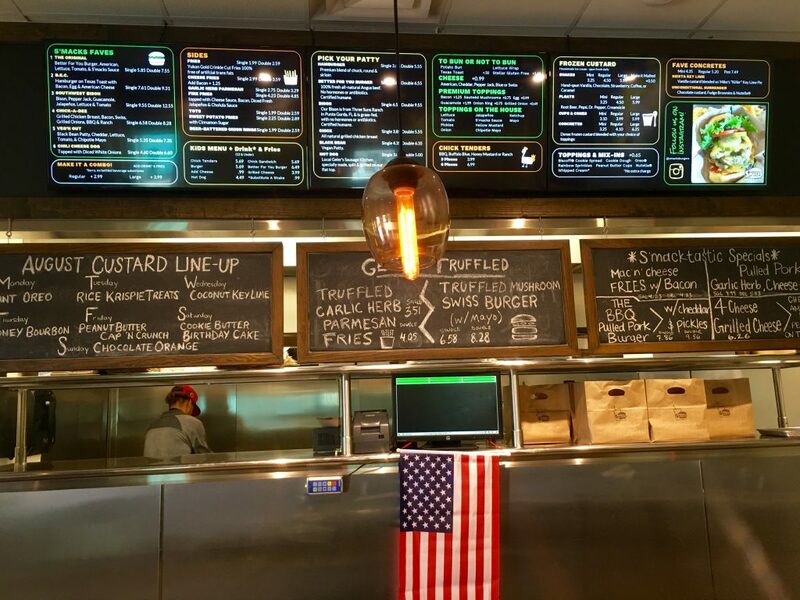 There are 3 table service restaurants and you will find our digital menuboard in their fast casual location. Having been one of our customers for 8 months now, they love being able to change the menu due to product inventory at the drop of a hat. While they are a seafood restaurant, they offer land lover favorites as well. Stop in the next time you’re by the pier! Rancheros is a tex-mex restaurant that started out in Douglas, GA in 2007. There are 2 other current locations in Waycross and Tifton. 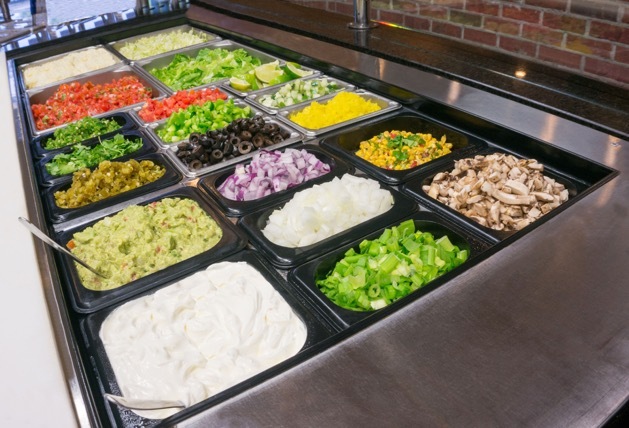 The “build your own” style mexican food offers over 25 different toppings, which can also be grilled, for each menu item such as burritos, tacos, or quesadillas. Since switching over to Menuat’s digital menuboards in 2015, Rancheros has used their boards to not only present their menu more clearly, but showcase community events, catering options, and featured menu items like their beloved white cheese dip! Keep an eye out for more locations opening in Dublin, Jesup and Moultrie, GA.
Megan and Spencer are the owners of one of our favorite Australian coffee shops, The Kookaburra. Whether you stop by the store Downtown, on US 1, or Beachside, there is always delicious coffee waiting for you. Having used our digital menuboards for over 3 years now, they love how easily they can display new drinks and their favorite feature is the Instagram feed. “It’s so cool and our customers love it,” said Megan. If you’re in the St. Augustine area, stop in and grab a cup of Aussie iced coffee! Customer Testimonial: City Coffee Co.
Robyn Mooney, Owner of City Coffee Co. in Saint Augustine, Florida shares her experiences with Menuat’s Digital Menu Service. 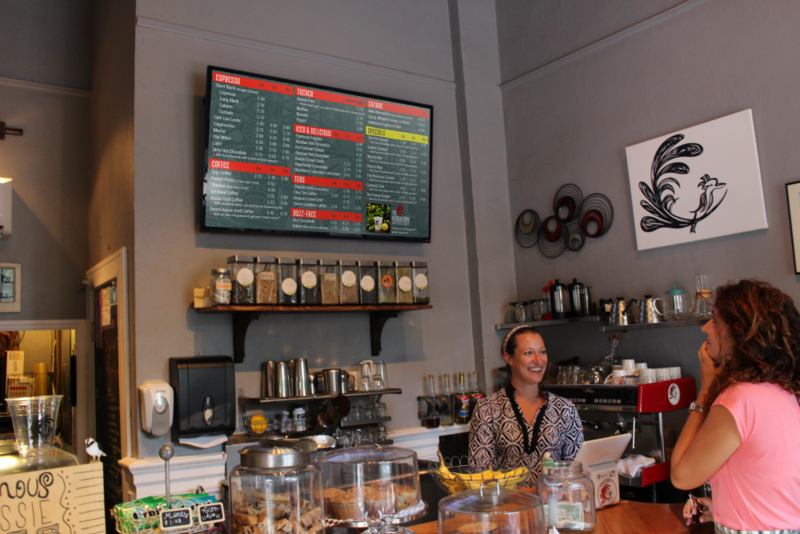 City Coffee Co. has had Digital Menus and an Events Board from Menuat for about a year. We recently added a third monitor to their menus and added Instagram integration during their annual redesign. Their full menu is available here. Schedule a Demo with Menuat! 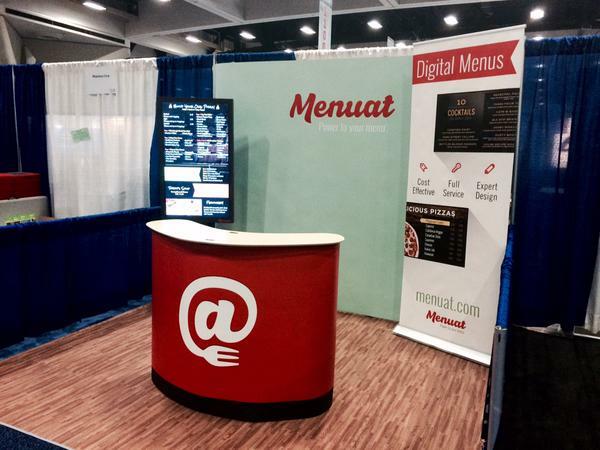 The Menuat Team is in San Diego for RFMA2105. If you’re attending, be sure to stop by Booth 1330 and talk to Jeff about the Cost Savings of Digital Menu Boards. We are also offering discounted design and development on multiple locations! Schedule a Demo with Menuat Today! 2014 Menuat. All rights reserved.